The Rapture: Entertaining, Yes. But Is It Biblical? 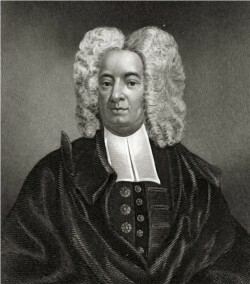 “The Rapture” is actually a fairly recent theology invented in the 18th century by the fanatical puritan, Cotton Mather (think Salem witch trials). It is almost entirely based on Mather’s specific (mis)interpretation of 1 Thessalonians 4:15-17. I think this theology is dangerous because it seems to imply that this fallen world doesn’t really matter – that a Heaven completely apart from the Earth is the final goal. That is not the case. What Paul was talking about was a physical resurrection of the dead to this world upon the return of Christ. He definitely did not mean we would be magically whisked up into the sky while this world is destroyed. This entry was posted in Bible, Heaven and tagged Biblical, Christ, Cotton Mather, Heaven, nonbiblical, Paul, Rapture. Bookmark the permalink. As eternal beings, we shouldn’t let our time spent trapped in the temporal prisons we call our bodies distract us from the fact that love is forever. Love now and love later, because the two are one. Kurtis Karr's Blog > Christianity > Bible > The Rapture: Entertaining, Yes. But Is It Biblical? Aren’t We All Just a Little Religious?